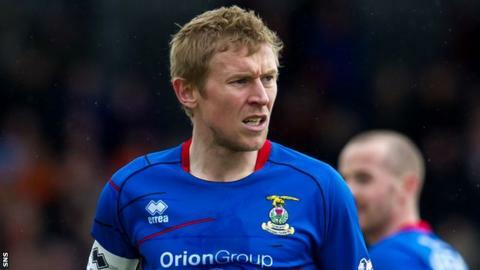 Inverness Caledonian Thistle will be without captain Richie Foran for the final five games of the season. The versatile Irish midfielder had knee surgery earlier this month. Manager John Hughes described it as a minor operation and had hoped that the 33-year-old would be able to return after about a month on the sidelines. But Foran is now not expected to be back until pre-season training in the summer, which means he will not play a further part this campaign. Caley Thistle lie fifth in the Scottish Premiership and still have an outside chance of qualifying for the Europa League next season.